This week’s song for a change actually have a positive story to it. This is a good example of how sometimes the small struggles in life can be a good source of inspiration. As well as how the artist and music consumer relationship should be a two way street. I got back from my holidays at the end of September. I’ve had a great time, but as often is the case, especially as an independent artist, the bills and rent had me short on cash. I was in a shop and realised I had to buy a different brand of coffee to my usual preference. Now before anybody gets on a “high horse” about posh coffee, lets just say my everyday coffee bean choice is very reasonably priced, well known and respected brand, which I will not name 😉 Sure, I was broke until my next paid job, but that’s the nature of the game. If you are not willing to be broke form time to time, you should not enter the music industry in the first place! That was it, that was all I needed. 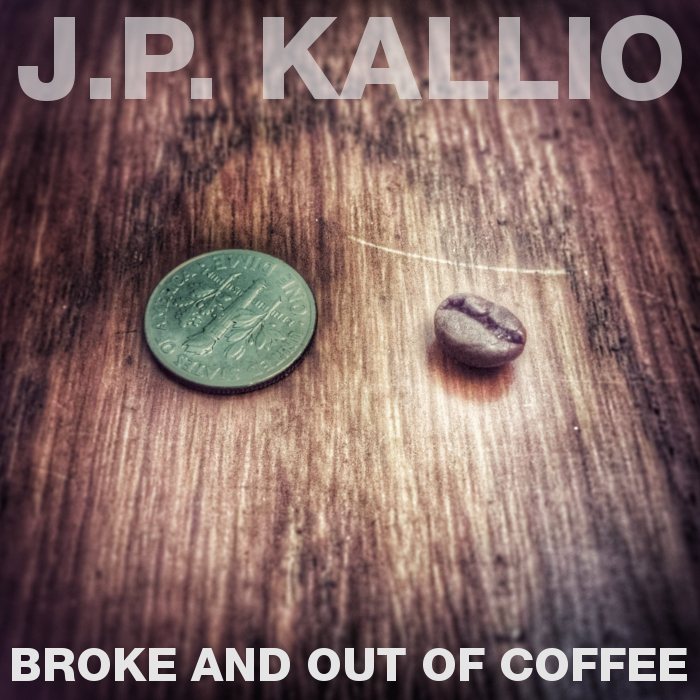 I dropped everything I was doing at that moment, picked up the guitar and wrote this weeks song “Broke And Out Of Coffee.” The song it self looks at how sometimes we make these small problems in life into bigger problems, while we are well able to keep some of the bigger problems in perspective. So keep your eyes and ears open, you never know where the inspiration is hiding. So I was broke for few days (and had to endure some not so great coffee,) but I got a song out of it. That song will have life of its own and will last (hopefully) much longer than my misery 😉 And all it took was the ability to laugh at your own situation, willingness to share it and someone with outside perspective to point out the obvious. Thanks Mike! 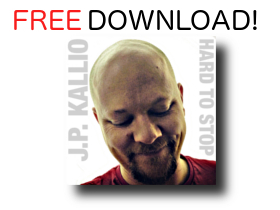 Thanks for listening and please share this post. As always, I have not budget for fancy PR, so you guys spreading the word is extremely important to me. You guys rock!